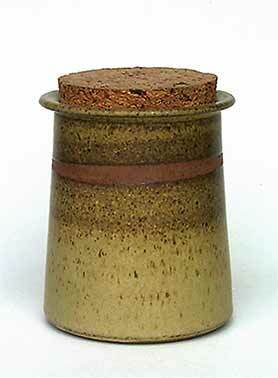 Tony Gant storage jar - 5" (127 mm) high. Tony Gant produces stonewares of distinctive style. He started potting in 1961 and has occupied his present studio in Wimbledon since 1968.